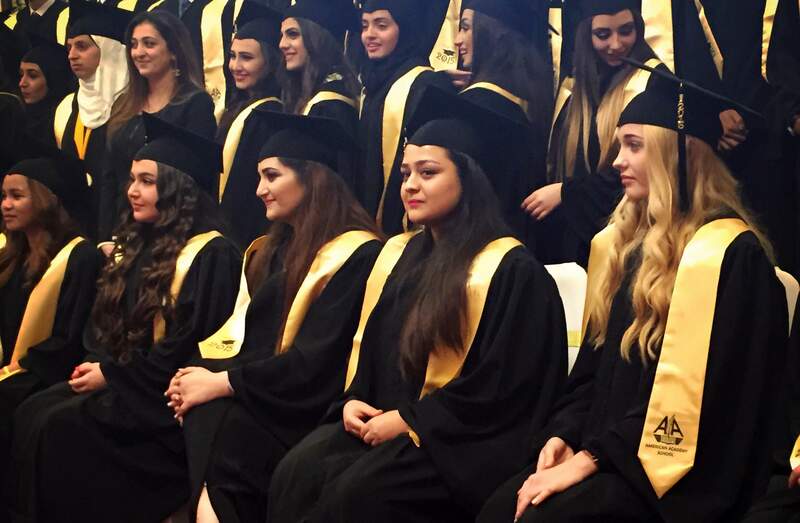 DOHA—Qatari women have long outnumbered men in the country’s higher education system. Now they are transforming its workforce. Aisha Almulla, an electrical engineering graduate student at Texas A&M University at Qatar, and an engineer at Shell Qatar, said she commonly encounters other female Qatari engineers and project managers in the course of her work. Their presence is still novel, but that’s changing, she said. “I have a lot of female colleagues doing amazing work at Shell Qatar,” said Almulla. About 25,000 Qatari women were employed outside the home in 2011, according to the Qatar Statistics Authority. By the end of 2014, that number had increased to almost 32,000, the authority said. In its “Cultural Statistics in Qatar” report, the Gulf country’s Ministry of Development, Planning and Statistics stated that last year Qatari women held 21 percent of the jobs in education, the social and natural sciences and the media. Around 25 percent of Qatari women work in construction, 27 percent in information and technology and 45 percent in the sciences and related fields, according to the authority. Women comprised around 1.9 percent of workers in those fields in 2001 and around 8 percent in 2010. These levels are still well below the rates of female employment in other developed countries, and Qatar’s National Development Strategy 2011-2016 highlights that women are more reluctant than men to work in the private-sector, mainly due to cultural and working-environment factors, citing “attitudinal barriers.” Many women believe government jobs offer flexible schedules, generous maternity leave and lean toward the cultural habits of Qataris—parties around Muslim religious holidays, eating dates, and drinking gahwa, or Arabic spiced coffee. As a result, university-educated Qatari women mainly work in the public sector. But the government nonetheless forecasts female workplace participation to increase by 42 percent next year, especially in top private business and government positions. Development related to the 2022 World Cup games could likely increase those rates in the coming years, according to government estimates. Higher education is playing a key role in that shift. Fifty-six percent of students in Carnegie Mellon University in Qatar’s Information Systems program are women. And women comprise 57 percent of Carnegie Mellon’s overall student body in Qatar. At Texas A&M University at Qatar, women make up 40 percent of enrollment. The institution specializes in undergraduate degree programs in chemical engineering, electrical engineering, mechanical engineering and petroleum engineering. The 15-year-old Qatari Businesswomen Association recently signed a memorandum of understanding with Texas A&M University at Qatar to support female students like Sara and to educate girls and their families about engineering. “The QBWA is employing all their efforts and capabilities to enhance the role of women and to enable them to participate and compete in various fields,” said association vice chairwoman Aisha Alfardan. Many young women in Qatar still fail to pursue their academic dreams because of social pressure to avoid traditionally male-dominated fields, said Sara. But she and others are breaking through these barriers in part because of the association and other initiatives. Haya Al-Thani, 26, was the first Qatari female in her computer-science program at Qatar University and the first to pursue a master’s in programming. In 2014, 44 females were admitted to Qatar University’s Computer Engineering program, compared to only five male students. And 25 female Qatari students were enrolled in the Computer Science program compared to only 10 male Qatari students, according to Qatar University computer science professor Sebti Foufou. Ninety-four women and 39 men study Computer Science in Qatar University’s undergraduate program, while 23 females and 14 males are in the graduate program, the university said. Educated Qatari women still need to work within a male-dominated culture. Journalism is not considered a male-dominated profession, but Rouda Al-Attiya, a 19-year-old journalism sophomore at Northwestern University in Qatar, said it is challenging for women to report news in the country. It’s awkward for her and many other Qatari women to go into dense crowds with men and respond to men who expect handshakes, contrary to some conservative Muslim women’s customs. Almulla believes that women should not hesitate to become doctors, engineers, journalists or even astronauts. But ultimately they should balance out their duties in the workplace with their role as a wife in raising an educated and culture-oriented family, she said. Sometimes she finds herself explaining that dynamic to her foreign co-workers. Work and traditional Qatari family life aren’t mutually exclusive for women, Almulla said. “Along with working as an engineer, I like to educate my male expatriate colleagues about our culture, as they come from different cultures and backgrounds,” she said.